There’s nothing fun about chopping up garlic and ginger every time you want to add aromatics to a dish. The next time a recipe calls for ginger or garlic, chop the whole garlic bulb or ginger root, and freeze whatever you doing use in an ice cube tray. Most recipes don’t call for large amounts of these ingredients, so consider using a smaller tray to create smaller portions. Add some oil or water to the well so the chopped pieces bind together. Once frozen, store the cubes in an air-tight bag or container in the freezer. Incorporate the flavorful cubes into soups, stews, and veggie dishes. For a healthy snack or a not-too-filling breakfast before a morning workout, opt for no-bake energy balls. Whip up a batch, like these birthday cake, carrot cake, or pumpkin pie energy balls, and freeze the leftovers into an ice cube tray. 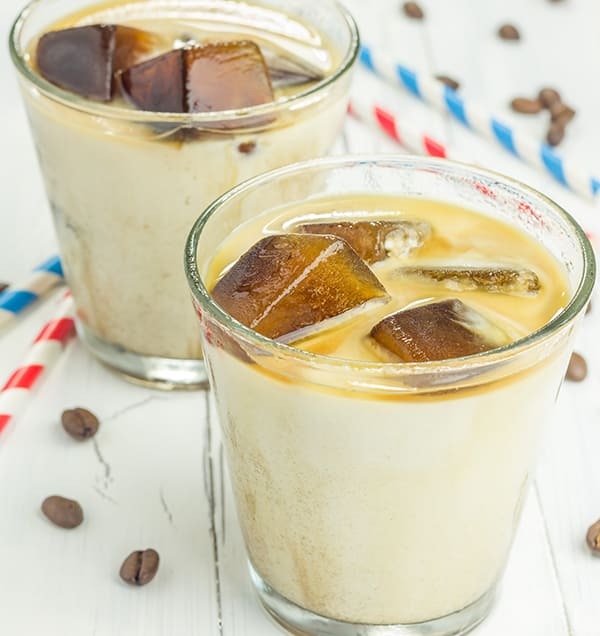 This will help them last longer, and they’ll be a cold and refreshing treat that’s easy to take on the go. However, the calories will be slightly different than those in the recipes if the portion size isn’t the same. Need a little something to satisfy your sweet tooth? Freeze single-serve desserts, such as peanut butter cups and no-bake cookies into separate wells based on the recipe’s serving size. Before dinner, pop one out and let it defrost a bit in the refrigerator while you eat, then enjoy it after your meal is over. Bonus: Because the dessert stays in the freezer, it’ll be out of sight and out of mind. 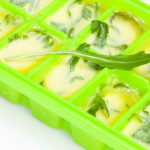 Have you ever used your ice cube tray to freeze foods? Let us know in the comment section below!